Watch actual accidents caught on camera during icy road conditions! These videos are a reminder that no vehicle or driver is immune to losing control on an icy road. Take it slow this winter - don't let the scenes in these clips happen to you! All of the following videos are hosted on Youtube. The videos shot in high definition can now be viewed in full 1080i HD on Youtube. To watch in HD, click the gear icon at the bottom of the video player and set Quality to 1080. To watch in 4K, choose 2160p from the Quality menu. A big compilation of raw clips showing many crashes, accidents, wrecks, spinouts, slides and close calls on icy roads. Includes both 1080i HD and standard definition shots. Shown are road icing caused by freezing rain, sleet, snow and blowing snow. This video demonstrates the impacts from freezing rain. Invisible 'black ice' catches drivers off guard in southern Texas on January 24, 2014, including a tractor trailer. Viewable in 1080i High Definition. This is a compilation of accidents involving SUVs, trucks, semis, all-wheel drive vehicles, 4WD vehicles, vehicles with traction control and winter tires. 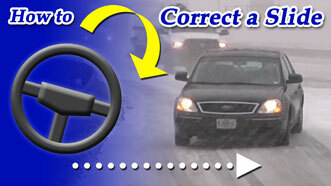 No driver or vehicle can safely go highway speeds on icy roads! Another video showing light freezing rain icing. This 'black ice' caused accidents on Interstate 79 near Big Chimney, West Virginia on November 24, 2008. Viewable in 1080i High Definition. A high-impact icing event from freezing drizzle crippled the St. Louis metro area in December 2016. This video shows multiple tractor trailers sliding and jackkifing on Interstate 44 in the city. Video showing the conditions that lead to many pileups during the winter: a sudden burst of heavy snow lowers visibility and ices the road surface. This incident near Elkhart, IL damaged 10 vehicles and caused at least one injury (not shown). Icing on Interstate 64 created entirely by blowing snow causes multiple accidents and spinouts near Shiloh, Illinois in December of 2010. Included is a distant tractor trailer crash. Viewable in 1080i High Definition. A compilation of raw clips in full 1080i high definition of accidents on Interstate 64's Fort Hill Bridge in Charleston, WV. This footage compilation shows a variety of icy road accidents captured in standard definition. A clip demonstrating the no vehicle is immune to icy roads, particularly the very slick glaze created by freezing rain. A SUV loses control on icy Lindbergh Boulevard in St. Louis, striking a light pole which then falls into the road. Video showing the high impacts that a light winter storm brings to the southern US states. Video of cars sliding and spinning showing how slick a very thin coating of ice from freezing drizzle makes road surfaces. This is some close-up demonstration footage showing how slick the icing from just a light glazing of freezing rain is. 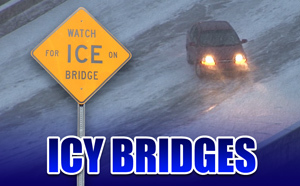 Bridge icing from light snow causes numerous accidents on Interstate 64's Fort Hill Bridge in Charleston, WV on March 17, 2007. A video showing the very dangerous conditions created by a dusting of light snow. Vehicles spin out on I-255 in Collinsville, Illinois (St. Louis metro area). A compilation of incidents in Missouri and Illinois during the 2012-2013 winter season. 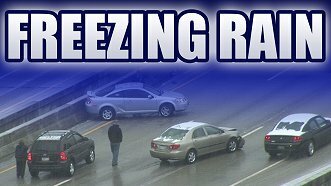 Included are interstate spinouts in St. Louis, freezing rain slides in Springfield, IL and a crash into a traffic light in Alton, IL. HD (720p) dashcam clip captures a minivan sliding out of control and nearly hitting the camera car. Vehicles struggle on a snow-covered hill in Charleston, West Virginia. Viewable in 1080i High Definition. While not caused by icy roads, this accident shows the phenomenon of high-speed oversteer causing a loss of control. The vehicle entered a sharp curve on wet roads at very high speed. Copyright: All video footage is copyrighted by Dan Robinson, registered with the US Copyright Office, and may not be used without a paid license. Please call (605) 770-1624 or visit stormhighway.com for rates and licensing information.